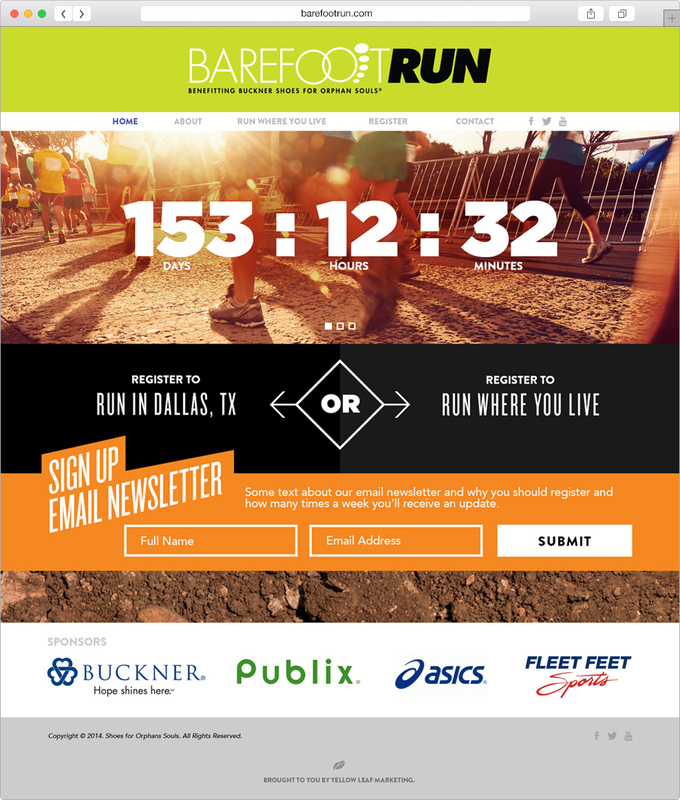 The purpose of this site was to provide information about the Barefoot Run 5K. Since, the race raises money to buy shoes, a lot of people will run the race barefoot. This race is unique, in that you can run the race in Dallas, like a traditional 5K race, or you can run where you live. Therefore, we wanted to highlight a Google Map on the “Run Where You Live page” showing all the places where people were committed to running.